The Raveonettes have always been very willing to let fans hear their new material before its official release date, and that hasn't changed with the noise-pop duo's upcoming fourth full-length, In and Out of Control. The record is due out October 6, but Sune Ruse Wagner and Sharin Foo are currently streaming all of the songs in their entirety on their MySpace page. The band seems to have found a solid compromise between the 60s pop pastiche of 2005's Pretty in Black and the shoegaze aggression of their last effort, Lust Lust Lust, with early standouts being the instantly catchy "Bang!" and "Last Dance" (which was definitely a highlight of the band's set at Lollapalooza in August - our coverage of that gig here), the driving "Suicide" and the noise attack of "Break Up Girls." 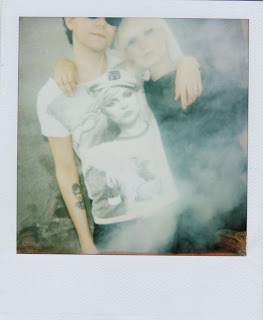 The Raveonettes will make a Chicago stop on October 25 at Metro on their tour promoting the new record. The Black Angels and Violent Soho will also play. $18, 18 and over. More info and tickets.